Despite strong rumours of him leaving Paris Saint-Germain, Blaise Matuidi will reportedly spend the rest of this season with the reigning French Champions. Mino Raiola, the Frenchman’s agent, claimed at the start of the season that his player might just be on the verge of an exit away from the French capital. Rumours of the exit were pretty strong at the start of the campaign, with the player considered to be confused with the plans his club had for him in the near future. The 29-year-old has remained an integral part in the PSG lineup in their previous title winning campaigns, and he knows exactly how to win the Ligue. Come to think of it, any club would feel lucky to get their hands on a player with such an experience, and it would be very unusual if his current club let him go. PSG underwent massive changes before the start of this season, with their main man and superstar Zlatan Ibrahimovic heading off to Manchester United, and manager Laurent Blanc leaving the club, with Unai Emery taking over at the helm. 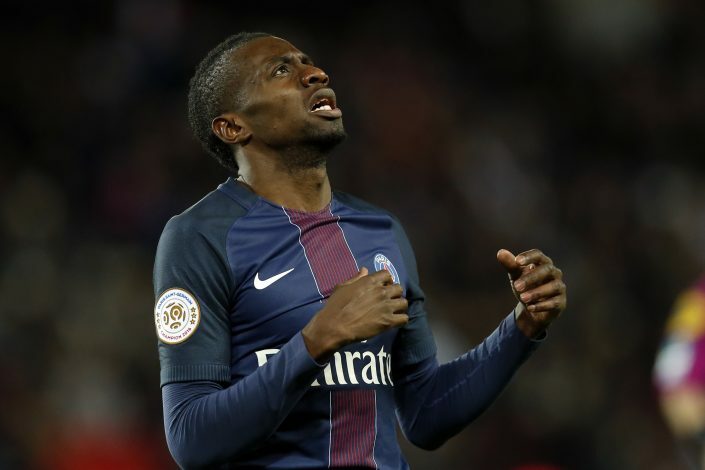 Matuidi himself admitted at the start of the season to the feeling of wanting to leave the club during the window, but he also added he was not unhappy. Unai and Matuidi did not have the best start to their player-manager relationship career, and the France international seemed to be absent from the new manager’s plan. However, off late, there seems to be a solution of some sorts developing in the player’s problems, and Raiola has reportedly admitted that the player and the club finally reaching to an agreement that will keep him in Paris until at least the end of the season. Blaise seems to be getting more game time, and despite early rumoured interest from Juve, the ex-Toulouse player seems to finally be spending his time on the field, contributing towards the club’s plans and goals, and doing the talking on the pitch and not off it.